The following image requires a cross-eyed viewing technique. Image copyright B.P. Johnson. Used with permission. 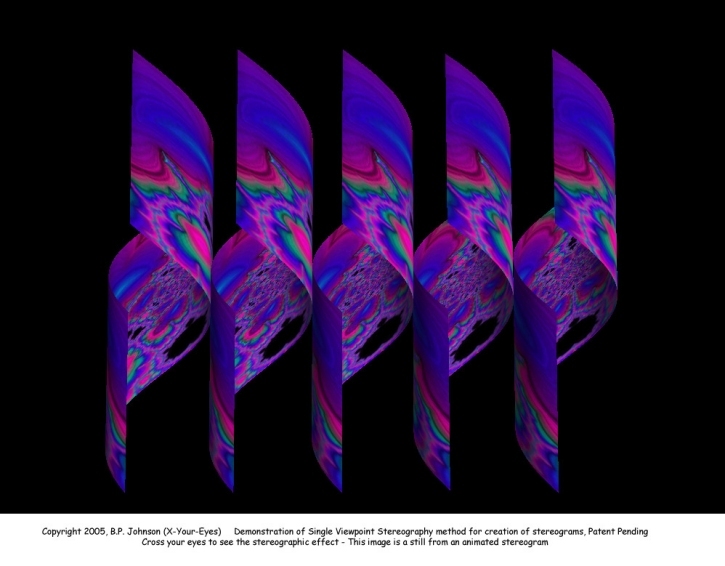 3dWonderStuff: Stereograms, Stereographic Animations, Phantograms, and More!